Earlier collections of (written) laws, just prior to Hammurabi, that could also be considered rules and regulations as to economic law for their cities include the codex of Ur-Nammu, king of Ur (c. 2050 BC), the Codex of Eshnunna (c. 1930 BC) and the codex of Lipit-Ishtar of Isin (c. 1870 BC). 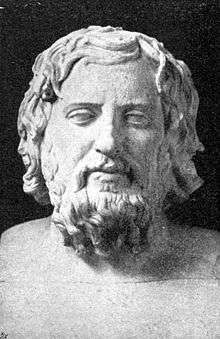 In the opinion of the Austrian School of economics the first economist is thought to be Hesiod , by the fact of his having written on the fundamental subject of the scarcity of resources, in Works and Days. His contribution to economic thought is at least in his relevancy to the practice of economical activity in the depositing and lending of grain, as his writings are "... the chief resource for details as to Grecian agriculture ..." and that according to Loudon (1825) he provided " ... directions for the whole business of family economy in the country". 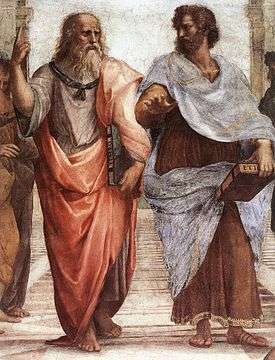 Of Plato's works those considered the most important to study of economics are Nomoi, Politeia and Politikos (Backhaus). In his work Laws (dialogue) Plato writes on the three things as important to a person of these mind he stated as the most important, then body and lastly estate (Χρήματα). In Phaedo, Plato makes the first distinction between things which are thought necessary and those thought a luxury (Bonar). Early Greek and Judaic law follow a voluntaristic principle of just exchange; a party was only held to an agreement after the point of sale. Roman law developed the contract recognizing that planning and commitments over time are necessary for efficient production and trade. The large body of law was unified as the Corpus Juris Civilis in the 530s by Justinian who was Emperor of the Eastern Roman Empire from 526-565. In Institutiones, the principle of just trade is stated as "tantum bona valent, quantum vendi possunt" ("goods are worth as much as they can be sold for"). ↑ Price, Betsy (1997). Ancient Economic Thought. Taylor & Francis. p. 30. ISBN 978-0-203-98170-2. ↑ Lowry (2003), p. 12. ↑ Charles F. Horne, Ph.D. (1915). "The Code of Hammurabi : Introduction". Yale University. Archived from the original on 8 September 2007. Retrieved September 14, 2007. ↑ Lowry (2003), citing especially Meikle (1995) and Finley (1970). ↑ Lowry (2003), p. 23. ↑ J Ptak. The Prehistory of Modern Economic Thought:The Aristotle in Austrian Theory (PDF). Institute for Business Cycle Research. Retrieved 2012-05-16. ↑ Sedlacek, Tomas (2011). Economics of Good and Evil:The Quest for Economic Meaning from Gilgamesh to Wall Street. Oxford University Press. p. 96. ISBN 978-0-19-983190-6. ↑ Karl Moore; David Charles Lewis (2009). The Origins of Globalization. Routledge. p. 127. ISBN 978-0-203-88097-5. ↑ John Claudius Loudon (1825). An Encyclopædia of Agriculture: Comprising the Theory and Practice of the Valuation, Transfer, Laying Out, Improvement, and Management of Landed Property : and the Cultivation and Economy of the Animal and Vegetable Productions of Agriculture, Including All the Latest Improvements : a General History of Agriculture in All Countries : and a Statistical View of Its Present State, with Suggestions for Its Future Progress in the British Isles. Longman, Hurst, Rees, Orme, Brown, and Green. p. 8. ↑ Lowry (2003), p. 14. ↑ Oeconomicus I. 5-6, 8. ↑ Lowry (2003), p. 17. ↑ Lowry (2003), p. 18. ↑ Marx (1930), v. 1, p. 388, n. 1. ↑ Cyropaedia III. 2. 17–33. 1 2 Lowry (2003), p. 15. ↑ Soudek, J; “Aristotle's Theory of Exchange: An Inquiry into the Origin of Economic Analysis”, Proceedings of the American Philosophical Society v 96 (1952) p 45-75. ↑ Kauder, E; “Genesis of the Marginal Utility Theory from Aristotle to the End of the Eighteenth Century”, Economic Journal v 63 (1953) p 638-50. ↑ Gordon, B.J. ; “Aristotle and the Development of Value Theory”, Quarterly Journal of Economics v 78 (1964). ↑ Schumpeter, Joseph Alois; History of Economic Analysis (1954) Part II Chapter 1 §3. ↑ Meikle, Scott; Aristotle's Economic Thought (1995) Chapters 1, 2, & 6. 1 2 3 Lowry (2003), p. 20. ↑ Jürgen G. Backhaus (2005). The Elgar Companion to Law And Economics. Edward Elgar Publishing. p. 640. ISBN 978-1-84542-550-0. ↑ Bonar, James (1893). Philosophy and Political Economy. Transaction Publishers. ISBN 978-1-4128-3081-2. ↑ Antony G. Flew (1989). An Introduction to Western Philosophy: Ideas and Argument from Plato to Popper. ISBN 978-0-500-27547-4. ↑ Steven G. Medema; Warren J. Samuels (2001). Historians of Economics and Economic Thought: The Construction of Disciplinary Memory. Routledge. p. 170. ISBN 978-0-415-18581-3. ↑ Schofield, Malcolm (1999). Saving the City: Philosopher-Kings and Other Classical Paradigms. Routledge. p. 67. ISBN 978-0-415-18467-0. ↑ Honderich, Ted (1995). The Oxford companion to philosophy. Oxford University Press, USA. ISBN 0-19-866132-0. ↑ "Archived copy". Archived from the original on 2009-02-11. Retrieved 2009-04-26. ↑ Acharya Mahaprajna (2001). Anekant: Views And Issues (First ed.). Ladnun, India: Jain Vishwa Bharati University, Ladnun, India. p. 46. ↑ Ebrey (2006), p. 164. ↑ Spengler (1964), p. 274. ↑ Hosseini (2003), p. 39. ↑ Falagas, Zarkadoulia & Samonis (2006). 1 2 Hosseini (2003), p. 36. ↑ The prevalence and error of Schumpeter's thesis and the importance of Spengler's paper is discussed in Hosseini (2003). ↑ Hosseini (2003), p. 33. ↑ Hosseini (2003), p. 34. ↑ Hosseini (2003), p. 28. ↑ Muqaddimah 2:272-73 quoted in Weiss (1995), p. 30. ↑ Schumpeter (1954), p. 136 mentions his sociology, others, including Hosseini (2003) emphasize him as well. ↑ Oweiss, I. M. (1988). 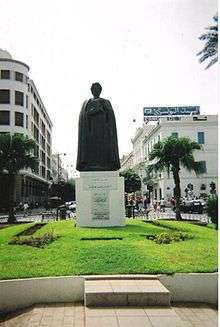 "Ibn Khaldun, the Father of Economics". Arab Civilization: Challenges and Responses. New York: New York University Press. ISBN 0-88706-698-4. ↑ Boulakia, Jean David C. (1971). "Ibn Khaldun: A Fourteenth-Century Economist". Journal of Political Economy. 79 (5): 1105–1118. doi:10.1086/259818. ↑ Weiss (1995), p. 29-30. ↑ Weiss (1995), p. 31 quotes Muqaddimah 2:276-278. ↑ Weiss (1995), p. 31 quotes Muqaddimah 2:272-273. ↑ Weiss (1995), p. 33. ↑ Weiss (1995), p. 32.